The Dirigo Vintage Base Ball Club would love to set up a game for your organization, historical society, or event. Please e-mail Jake at the address above to set it up. The club does ask that you schedule events well in advance of the dates in mind. Our schedule is mostly filled up for the next season by December of the current year. 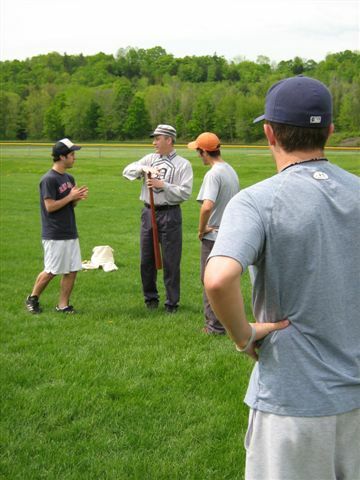 Members of the Dirigo Base Ball Club have done seminars on the history of base ball, demonstrations of the various forms of early base ball, and have worked with school groups on the history of base ball. If you are interested in this, please contact Jake at the link above.